David Ortiz charged the mound on Friday. What he thought he was doing was putting an end to some half-baked intimidation tactics from Orioles pitcher Kevin Gregg. What he actually did, however, held significantly more interest. 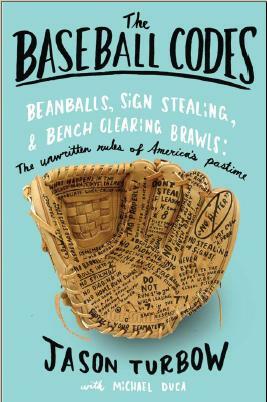 With one inspired charge the guy tore open baseball’s unwritten rulebook, giving us a good look inside; before the game was done, the Red Sox and Orioles touched on no fewer than five distinct sections of the Code. To recap: Boston hammered the O’s for eight first-inning runs, highlighted by Ortiz’s three-run homer. By the time Ortiz batted in the eighth, the score was 10-3. Gregg—Baltimore’s closer, in the game to get some reps—threw three inside fastballs to him, two of which forced Ortiz to jump backward. • When your pitching staff can’t seem to slow down the opposition, make things uncomfortable. Boston had abused Baltimore pitchers to that point, scoring 20 runs over two games. (It was part of a five-game streak in which the Orioles gave up 10 or more runs four times.) A pitcher can hardly be blamed for trying to gum up a roll like that. What’s unknown is whether Gregg requested entry into the game specifically for this purpose. As it was, the right-hander did everything by the book. Drilling a hitter for his team’s success is usually unnecessary. The pitcher’s job in such a situation is to move a hitter’s feet, make him uncomfortable, get him out of his groove. Gregg wanted Ortiz to think about something other than hitting another homer, and in that regard he was wildly successful. If Gregg missed his target—three times—he wouldn’t have been the first to do so. • Don’t swing at a 3-0 pitch with a big lead late in the game. The fastball that Ortiz popped up came on a 3-0 count, with his team holding a seven-run in the eighth. That’s domain in which a pitcher unequivocally expects a freebie. (With such a lead, say the baseball Gods and Kevin Gregg, it’s the least a hitter can do.) “It’s 3-0, they’re up seven, and I think there are some ethics to this game and guidelines that you have to stay within,” Gregg said in the Boston Herald. There’s little question that the pitcher was sending a message with his inside fastballs. With that swing, Ortiz sent one of his own. • Run to first base like you care. This is where things got sticky. Ortiz, clearly unhappy to have hit a short fly ball, took a few sad steps toward first before starting to trot. Had Gregg not been predisposed to friskiness, it’s unlikely he would have taken umbrage. But keyed up as he was after Ortiz’s 3-0 swing, the slight delay provided all the provocation necessary for the right-hander to profanely urge Papi to step it up. Plate ump Mike Estabrook tossed Gregg immediately, but it wasn’t enough to keep Ortiz from turning and charging. He ended up throwing several punches (none of which connected), and benches again cleared. Ejections (primarily Ortiz and Gregg) followed. On Friday, Boston’s Josh Reddick took this rule to an extreme. He was on third base when Ortiz hit the ball, and tagged up. Once hostilities erupted, however, he headed for the mound rather than the plate. That was enough for the umpires to declare him to be the third out of the inning. As if to take things a step further, Red Sox infielder Marco Scutaro—all 5-foot-10 of him—was the first guy to reach Gregg (6-foot-6, 230 pounds), and as such was tasked with trying to slow the big fella down. It can only be seen for a moment in the game footage, but Gregg offers an inadvertently impressive show of strength, tossing around a clinging Scutaro basically by waving his arm. We could also get into the concept of waiting for retribution, as Sunday’s series finale featured three HBPs and one near-HBP, most of which were likely unintentional. (It was Red Sox pitcher Kyle Weiland’s first big league start, and neither of his hit batsmen bore any hallmarks of intention; also fitting that bill was Orioles pitcher Jeremy Guthrie, who hit Kevin Youkilis with a changeup.) If there was a message pitch, it came from Mike Gonzalez, who in the sixth threw a fastball behind Ortiz. After that, though, all remained quiet. Gregg had his say, Ortiz had his own, each club followed up and everybody moved on. Wildness has its time, but so too does order. It’s the Code at work, and it’s a beautiful thing. Aubrey Huff was recently interviewed on KNBR. Like many players, he didn’t know many of the ‘code’ rules nor did he care. He hated how one time with a big lead he did not swing on a 3-0 count and then on 3-1 got a slider. He felt he should have been given another fastball. I got into an argument with a guy on Rays Index about how dumb he thought I was for being interested in the “Code”. Only the cold, hard numbers mattered(sabremetrics) to him. I couldn’t get him to understand that the guys who’s numbers he was so interested in live and die by these unwritten rules. If this matters to the players, it seems like it should matter to us as well. Thanks for the insight you provide Jason. I look forward to the email updates of your blog. That’s the thing. Like Aubrey Huff, not all players love the Code. Heck, they might even form a majority. What matters here is that enough players respect enough of the unwritten rules — and that is incontrovertibly the case — that they continue to be maintained. It’s fun to argue about their merits with people who disdain them, but the bottom line for me is that baseball, even as the most individual of team sports, maintains its collective spirit, largely through this enforced system of respect. Woe be unto thee that ignore the Baseball Gods. Just sayin'(Boca, Mr 3000). 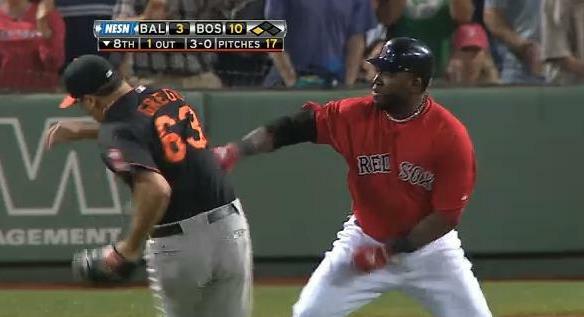 The code should be to just shut up after the game- or issue an apology like Ortiz. The fact that Gregg KEPT whining about it… yeah, I don’t think that’s pro-Code. You nailed it. What one does after the fact merits nearly as much consideration as what one does on the field. Just like the guy who expresses genuine concern after injuring a player with a vicious slide will usually garner more leeway than the guy who doesn’t (Scott Cousins aside), the reactions from the players involved here go a long way toward revealing how justified their actions actually were. Man was that a convoluted sentence to write.